Happyshopper, Inc | The future of shopping. 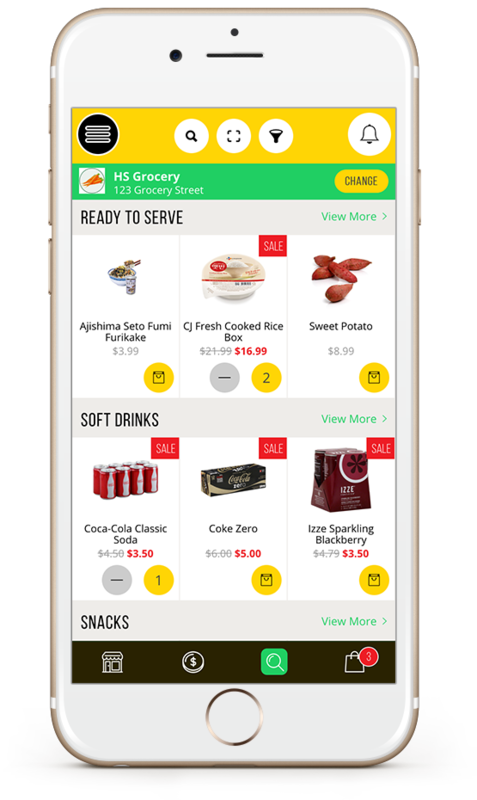 Happyshopper is a customer facing app designed to bring a new dimension to grocery shopping. The Happyshopper suite of applications are designed to increase mobile engagement and give you the opportunity to offer enhanced customer service and rewards programs to your loyal customers. The Happyshopper apps are built to help you easily engage with customers and use digital coupons, ecommerce and rewards programs to increase average transaction size, total transactions with highly effective mobile push marketing. Get the app and try it out on your iOS devices. Get the app and try it out on your Android devices. Choose a Happyshopper program to start your customers’ mobile experience. No programming required! Increase your mobile engagement marketing and see the benefits – a strong new complement to your print outreach. Use Mobile push and text messaging to reach out directly to your customers – the power of digital delivered! Use our simple yet powerful marketing tool to manage and send out personalized emails to your customers with embedded coupons and offers. Happyshopper is the result of 5 years of passionate and thoughtful work, showcasing our desire to bring modern tools to the grocery community. We are all about leveling the playing field for the independent grocer battling Super-centers and Warehouse clubs on a daily basis. We are small business owners and we appreciate the challenges and struggles of the small business owner. Our mature app development and soft touch integration strategy gets you into the interactive shopping arena faster and without any of the development or infrastructure cost associated with a DIY effort. We have created a comprehensive suite of apps designed to help you accept and fulfill online orders. Happyshopper Exclusive Rewards put you and your brand in the forefront while at the same time building customer loyalty and goodwill. We are focused on the grocery sector because we have been creating and supporting technical applications for grocers for the last 15 years. We have watched this sector grow and struggle and we are here to help redefine your future. Please fill out the form below and click Send Message when you have finished. A representative will follow up with you. Thank you for your interest. © Copyright 2015 Happy Shopper, Inc. All rights reserved.